For the past 10 years, TEAMability has been providing one-of-a-kind services to children with severe multiple disabilities and helping improve their participation across all aspects of their lives, including home, school, recreational activities and with family and friends. TEAMability does this through its center based services, school services, parent involvement, and workshops for parents and professionals. All children can learn. A simple premise, but one that is continually dismissed when it comes to severely multiply disabled children. 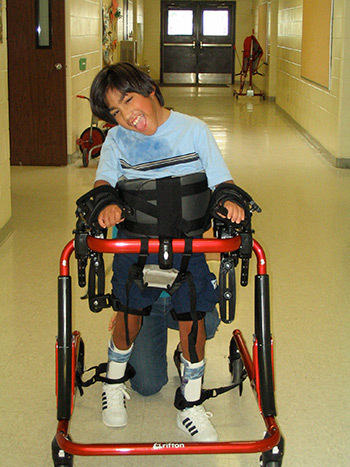 However, at TEAMability, we know that even the most severely disabled child can take in information and learn. We have seen progress, it happens slowly, over a lifetime. But there is still work to be done! We have outgrown our current facility, limiting our ability to expand programs and resulting in 40 children waiting for up to three years to start services. It is through support of our community that we will be able to move forward to effectively meet the needs of the children and families at TEAMability, and those waiting for services.